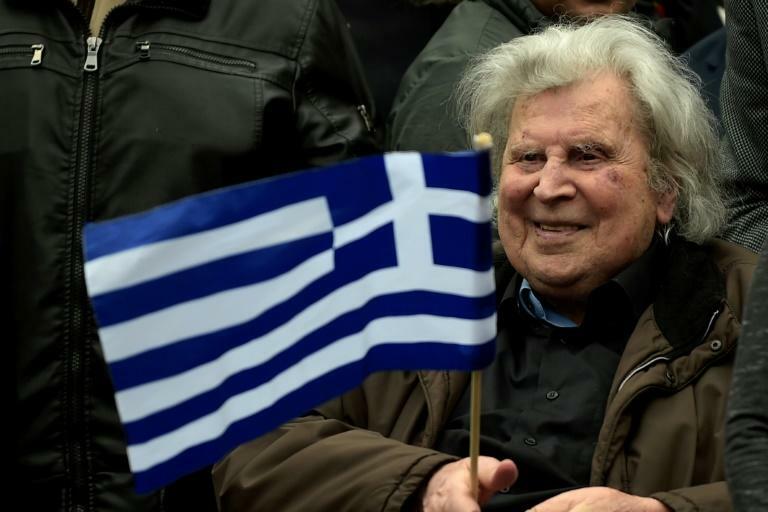 Renowned Greek composer Mikis Theodorakis, who wrote the music for the classic 1964 film "Zorba the Greek", was sent home on Thursday after a heart scare that saw him hospitalised for over two weeks, his doctors said. The private Iatriko Kentro hospital said in a statement that 93-year-old Theodorakis, who was fitted with a pacemaker on March 8, can be monitored remotely. Theodorakis had been admitted on February 26 with breathing difficulty and atrial fibrillation, an irregular heart rate that can increase the risk of stroke or heart failure. The composer penned what is probably the best-known piece of Greek music, the theme tune to Zorba, an instrumental which is still played and danced to around the world. He has been hospitalised several times in recent years due to heart problems, including in August last year. Theodorakis is also known in Greece as an icon of resistance against Nazi Germany in World War II, as a militant communist in Greece's 1946-49 civil war and as an activist against the military junta that ruled Greece from 1967-74. Theodorakis has remained a high-profile political campaigner, most recently protesting against the Greek government agreeing to end a 27-year diplomatic dispute with its northern neighbour, the newly titled North Macedonia. He has also been highly critical of Prime Minister Alexis Tsipras, whom he has accused of betraying his left-wing roots by agreeing to impose EU-mandated austerity reforms after coming to power. In 2012 he was in a group that got teargassed by riot police during an anti-austerity demonstration outside parliament.